Hand painted Golf wine glasses for the perfect golfer is brightly painted with Clearly Susan's golf buddy that knows how to sink that hole in one. 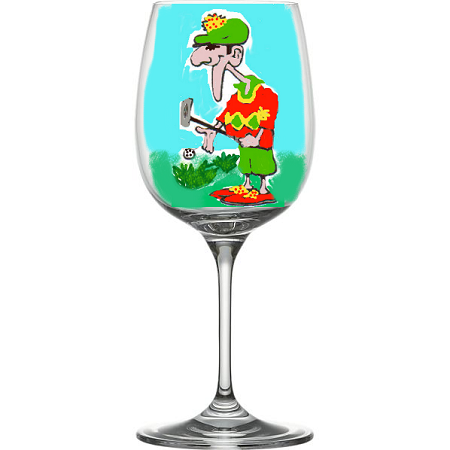 Our golf wine glasses hand painted with our unique golf character is ready for anything. 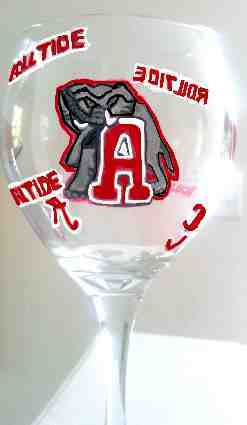 Why not give the golfer in your life personalized hand painted golf wine glasses to celebrate his favorite sport of golf. If you want a different design then let me know what you would like, and we will hand paint whatever you request. If ordering different quantities from both options of glasses and mugs, place each option in cart separately.